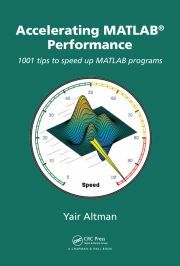 Matlab uipanel controls can be customized using Java in ways that are impossible with plain Matlab. In HG2, some of the plot functionality is hidden in undocumented properties. Matlab plot-line markers can be customized to have transparency and color gradients. Static and interpolated (gradient) colors and transparency can be set for plot lines in HG2. Matlab HG2 axes can be customized in many different ways. This article explains some of the undocumented aspects. HG2 axes can be customized in numerous useful ways. This article explains how to customize the rulers. Matlab’s standard plot data-tips can be customized to enable dragging, without being limitted to be adjacent to their data-point. HG behaviors are an important aspect of Matlab graphics that enable custom control of handle functionality.